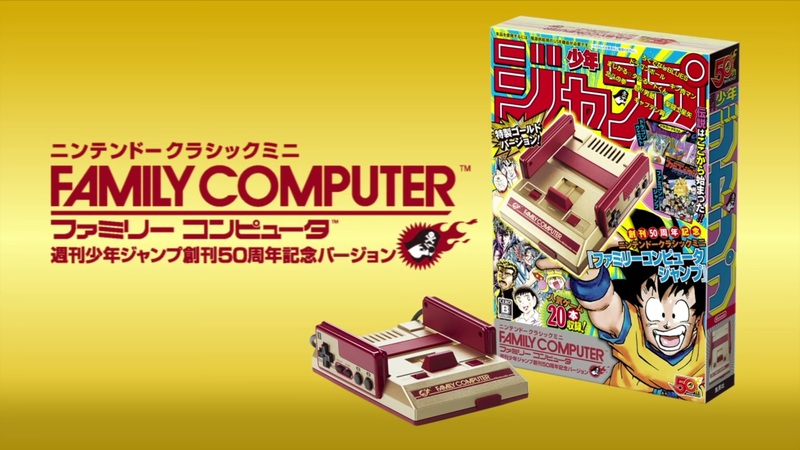 A few days ago, Japan's Weekly Shonen Jump magazine revealed it had partnered with Nintendo to create a special edition variant of the Famicom Mini. Containing 20 games based on Shonen anime and boasting a gold paint finish, the mini console looked positively sleek. Nintendo has now uploaded a trailer of the device and confirmed the price point and game selection. You'll be able to get the mini console on July 7, 2018 for 7,980 ¥. While the game selection might not be the best, remember that the NES and Famicom Mini are very much hackable. You could always nab this for the gold paint job and load it with your own titles.